This evening there was the demon vanquishing ceremony at Yoshida Shrine, which is the largest one in the city. I just returned home, cold and tired, but at least I had lots to eat – there were many food stalls lining the entrance to the shrine. Tomorrow is the big bonfire where people can burn their old amulets and charms from last year, I brought a few of mine as well and bought a new one instead. 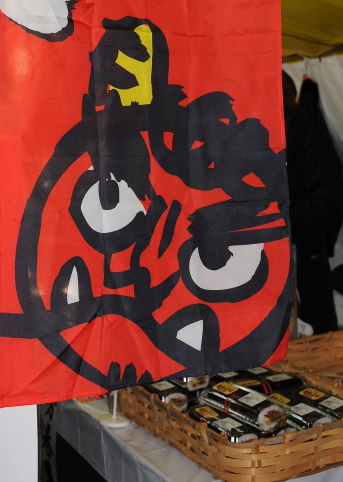 Anyway, very short post today, I will write in detail about setsubun in the weekend. Apparently I have never done so before, so that gives me something to do!